Deakin Rural Health are committed to being involved with the health of Aboriginal peoples of all ages. 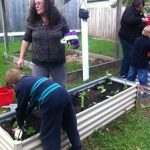 Staff from Deakin Rural Health facilitated a ‘Healthy Garden/Healthy Lives’ project with Winda-Mara Hamilton. 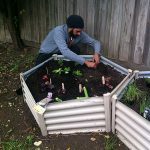 Old planter boxes were emptied and filled with new soil ready for the community dinner evening. Everyone pitched in and planted a variety of salad items, vegetables and herbs. 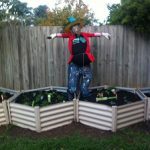 This project is ongoing, with the community very much involved in the care of the garden, making the scarecrow, changing plants as the seasons change and of course, cooking up some wonderful meals to be enjoyed at community dinners. Healthy Bodies = Healthy Minds.